Government analyzing voice that father says is that of his daughter. 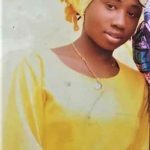 (Morning Star News) – In an audio recording revealed yesterday, kidnapped Christian schoolgirl Leah Sharibu appeals to the government of Nigeria to win her release from Islamic extremist group Boko Haram, according to several published sources. 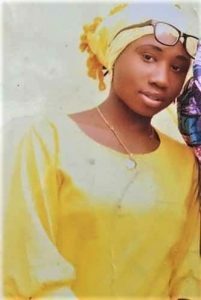 Boko Haram released more than 100 schoolgirls about four weeks after kidnapping them on Feb. 19 but held Leah, 15, because she refused to convert to Islam, Morning Star News revealed on March 26. In the audio recording obtained by a journalist for Nigerian online news outlet The Cable, Leah says in her native Hausa that she wants the government and “people of goodwill” to rescue her. “I am begging you to treat me with compassion, I am calling on the government, particularly, the president, to pity me and get me out of this serious situation,” she says on the audio. CNN today reported that her father, Sharibu Nathan, confirmed that the voice is that of his daughter. Boko Haram, which seeks to impose Islamic law (sharia) throughout Nigeria, kidnapped the girls from a boarding school in Dapchi, the Government Girls Science Technical College, in nothereastern Nigeria’s Yobe state. President Muhammadu Buhari’s spokesman, Garba Shehu, told CNN that intelligence personnel were analyzing the voice recording, and that officials would issue a statement after studying it. In 2015 the Nigerian military began taking back most of the territory Boko Haram had controlled, but many areas remain, and the terrorists are still mounting isolated attacks.